Disconnected Press are back and (almost) fully recovered from the Lakes International Comic Arts Festival, which took place in Kendal last weekend. The other thing that was incredible was the sheer diversity of comics on display. You could buy comics about mythical pop stars, comics about vampires at school, comics about dragons or bunny rabbits or war. Probably the hardest thing to buy was a comic about a superhero…. Comics. That reminds me: we launched one. Yep, Disconnected Vol 3 hit the metaphorical shelves on the Saturday. As always, a HUGE thank you to the writers, artists, letterer and others who made the book possible. I am always awestruck by how talented our creators are and by how generous they are with their time and support. It was a delight to see so many of them at the weekend: Verity Glass, Own Johnson, Mike Garley… We also caught up with some alumni of Disconnected Vol 2, including PM Buchan, Jon Lock and Martin Simmonds. Reaction to Disconnected Vol 3 was great – as was the ongoing response to SENTIENT ZOMBIE SPACE PIGS (seriously, the title just keeps on giving). If you haven’t read it yet, you really should. Next stop for the Disconnected tour: ThoughtBubble in Leeds on 23 and 24 November. We’re in New Dock Hall, Table 7 (here’s the floor plan) – as you come through the main doors, turn left and head for the wall. Before you hit the wall, you should hit us. We’ll have Disconnected 3, Sentient Zombie Space Pigs and other comics for sale (though if you can’t wait that long, you can order from our Shop). And we’ll also be launching another book: Do Aliens Play Basketball? by Lizzie Boyle and Vashti Hallissey… more on the blog soon including sneak previews….! When we started work on Disconnected 3, one of our first thoughts was “I wonder if Mike Garley would write for us.” He’s a busy fella, what with organising an incredibly successful Kickstarter for the Dead Roots zombie anthology, publishing and promoting VS Comics, and corralling most of the UK small press scene into meeting its deadlines. Thankfully, when we asked him, he said “yes please”. Our next challenge: find an artist who could do his story justice. We prayed to the gods of comics and they sent us Peter Mason as we pimped our wares at DemonCon earlier this year. Mike: I’ve always loved comics and storytelling but never thought it was something I could actually make a living in until a few years ago. I had been working as a manager for various restaurants, and I was desperate to start doing something creative, so I decided to write a comic. I attended a creative writing course and one thing led to another and I ended up doing an MA in writing. What’s your process for creating comics? How do you work? Mike: It’s fairly boring, I’m afraid. I write an idea as a paragraph or two in Word, then I’ll flesh that out into page segments, before copying and pasting it into Final Draft where I’ll format and redraft the hell out of it. I will also drink all the coffee. Mike: I’m enjoying what I’m doing at the moment to be honest. 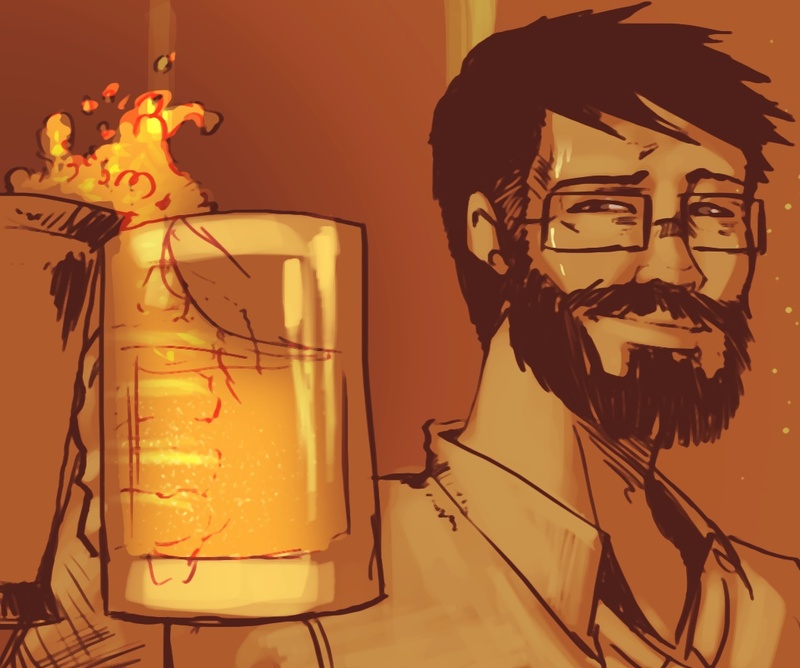 Things are going pretty good with the creator owned stuff that I’m working on. I’d like to get a chance to work on some big titles at some point, but for now I’m happy. Peter: My dreams is to do comics, webcomics, sell my own stuff, get published with the big guys, for example, Image, IDW, Dark Horse, Marvel…maybe DC. Mike Garley has written a six part comic for the award-winning beActive Entertainment, Wallace and Gromit for Titan and The Sun and The Anniversary for OFF LIFE. He has self-published several other comics, most notably Eponymous for VS Comics. 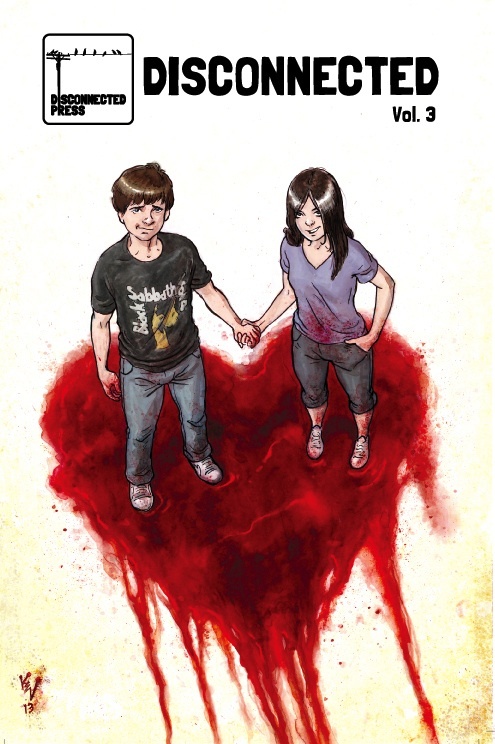 He is the editor in chief for the zombie comic anthology Dead Roots. Peter Mason‘s artwork features in Unseen Shadows volume 2, Zombies 2 for Accent UK, the webcomic Thonk!, A Dreams Story and Block of the Dead. He did the colours for Cancertown 2, published by Markosia. You can read their story The Writer’s Retreat in Disconnected Vol 3, out later this week. Find us at the Comic Art Festival in Kendal, or at ThoughtBubble in Leeds next month, or order from our amazingly high-tech Shop. When we were pairing up writers and artists for Disconnnected 3, there was one match-up that was obvious: putting the gothic storytelling of Max Deacon with the twisted visions of Aaron Moran. The combination is everything we could have expected: chilling, atmospheric and liable to keep you away from most small towns (apologies in advance to the Lake District for any loss in tourist trade). Or you can take our word from it and order Sentient Zombie Space Pigs from our online shop. Just £1 plus P&P. Yep, a pound. Time to meet two more of our creators: relative newcomers but absolute stars-in-the-making, writer Jordan Sam Adams and artist Lyndon White. They have teamed up for The Light Of Calm Springs, a spooky tale which will feature in Disconnected Vol 3 (launching this month!). How did you start creating comics? Lyndon: I studied Illustration for Graphic Novels at university, so it is something I have been learning to do as a profession for three years. Before that I’d already drawn a few short comics and started to fall in love with what the medium can do. I’ve still got a background in general illustration and graphic design, but comics are my specialty. Jordan: By background, I am a musician and filmmaker – but comics have always been a huge passion of mine. As a child I was hooked on Batman and Spiderman, and it pretty much grew from there. A while ago, after years of gigging and filming, I just immersed myself in comics. Eventually I had that same moment we all have and thought: ‘That’s it, I’m writing my own comic!‘ By that point, I’d written screenplays and prose stories so it was a matter of learning the rules of the medium and honing my craft. A lot of people don’t realise how much goes into writing even a short script, but I love the challenges. Jordan: At the moment, I’m focusing on small press anthologies whilst working on some longer pieces in the background. So far, I’ve got a couple of stories that will be featured in The Psychedelic Journal Of Time Travel, a story coming out in Markosia’s British Showcase Anthology – and now of course, Disconnected Volume 3! Outside of comics, I wrote the trailer for a TV drama about the Suffragette movement called ‘The Vote’, which was seen in Cannes. I was part of a small team that was nominated for a Bridport Film award in 2012, and filming started a while back on the pilot episode for a TV series that I wrote called ‘Edison Lane’, which is about several families adapting to life after the bomb in fifties America. Lyndon: I have self-published two of my own comics. The first is Where were you, created using mixed media and telling the story of a conversation between Death and God. The second is Pinnacle, which is a silent story of a man trying to outrun his past, completely drawn in pencil. I am just finishing the third at the moment which is called Cosmic Fish. What’s your process for creating comics? Jordan: If a theme is already in place for a book, I’ll go away and mull over the theme and research it, then build up from there. If it’s open, or is something for one of my longer pieces, mostly it begins with images – I’m a very visual writer. For example, one of the stories that’ll be seen later this year began as an image of a pretty young girl reluctantly being placed under anaesthetic using a Victorian-looking mask. I went away with my notebook and asked questions: who is she? why is this happening to her? who is behind it? what’s their motive? I then follow the questions to the story. Most of my work is like that. Plus I’m a coffee junkie, so I’m always in coffee shops scribbling away. Lyndon: Generally, I work on a script until it’s pretty much finalised. Once that is locked down, I then move on to thumbnailing pages and refining the layouts. Pencil is a go-to tool for drawing then, based on the type of drawing (theme, purpose etc), I’ll move on to other media. There is a sort of balance between traditional and digital, so I can get the best of both. Lyndon: I want to continue telling stories, not specific themed stories, just good / interesting ones. That and keep making comics. I have a few concepts on the back burner ready to be worked on. So pitch a project and get it published. Work with a publisher / writer and keep drawing. Jordan: Having anything published is a dream come true, but if I’m thinking bigger and longer-term then I’d really love to have a creator owned mini-series out there. Should the planets align in the far future, I’ll be honest and say I’d love a crack at Batman – I’ve got 25 years of stories ready to go for him! Jordan Sam Adams and Lyndon White’s story The Light of Calm Springs will feature in Disconnected Vol 3, available from Disconnected Press in October 2013. 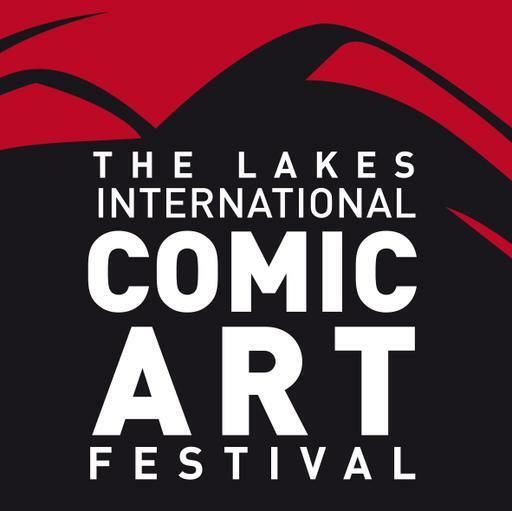 We’ll be launching at the Lakes Comic Art Festival in Kendal, so find us there or at future Cons, or order from our Shop.